Is the influenza vaccine oversold?? No, not really. A recent post at The Conversation casts doubt over the effectiveness of the influenza vaccine – however the interpretation of the data was flawed, in the opinion of our editors. The Conversation article asserts that recent studies show the risk for healthy adults contracting the flu is about 2% annually, and vaccination reduces this to 1%. However, that is a very odd way to talk about risk. We might say the same thing about seatbelts, in that a car accident is unlikely so seatbelts don’t affect your absolute risk of head injury in a car accident by that much – but we certainly don’t conclude that seatbelts are not useful. Influenza vaccines reduce the chances of an individual contracting laboratory confirmed influenza by 50%, and there is much evidence to show that even if you still contract the disease, vaccinated people have a shorter illness duration and a reduced risk of complications. Influenza is often not confirmed in a laboratory for healthy adults too, so it is likely that the numbers greatly underestimate the impact of influenza in the healthy population. Cyanide cancer cure banned: This article is over two years out of date, but the noise on the internet concerning laetrile aka amygdalin aka vitamin B17 is overwhelming. Self-professed nutritionists, dodgy doctors and natural therapists all bang on about the benefits of laetrile as a cancer treatment and lament the heavy-handed suppression of this miracle by governemnt agencies and Big Pharma. Most claim it is a cancer therapy but one bright spark claims cancer is caused by a vitamin B17 deficiency. Laetrile has been around for decades now. One of the first big proponents of laetrile was William Donald Kelley, a disqualified orthodontist turned amateur oncologist. His modified Gerson diet supplemented with laetrile lured a dying Steve McQueen to his Mexican clinic where Kelley proceeded to extract large amounts of money from McQueen before his death from mesothelioma. Unfortunately, the celebrity of McQueen enhanced the prestige of Kelley’s clinic, despite his demise, and laetrile became a new darling of alternative medicine. Anti-vaccine quiz gets it all wrong – silliness from Wisconsin anti-vaxxers: A look into some of the propaganda produced by anti-vaccinators. I find lists like this interesting. Why are these lines the types of statement that anti-vaxxers think will be convincing? Why are these the lines that the vaccine fearful are convinced by? The greatest favour we can do someone is not to convince them to join our side, but to teach them science literacy so that they can know the BS when they see it. Right-to-try: Right-to-try is now law – Let patients beware: Right-to-Try (RTT) laws claim to give desperate terminal patients the right to get access to experimental drugs. I mean if you’re dying anyway, whats the harm? RTT laws exist purely to damage patient protections, to prevent the FDA from regulating drugs properly, and to weaken the FDA in general. Patients under RTT are on their own for legal, medical, and drug costs. They are owed no liability by their doctors, medical carers, the drug providers or insurers. This is NOT how one protects the vulnerable. Donald Trump has now signed a federal right to law, finally achieving the power to prevent the FDA from enforcing standards and patient protections. The bill sponsor even stated that the laws purpose was to prevent the FDA from passing new rules exerting control on the provision of drugs. The FDA is now no longer going to provide information on new drugs, but will direct inquiries to drug sponsors. The FDA is out of the loop. Bear in mind that none of this was needed. The FDA provided, and still provides the “Expanded access program” allowing compassionate access to experimental drugs for more than 99% of requests. And providing patient protection as part of the system. Two towns are 48kms apart. One has twice as much tooth decay: For 40 years, dental therapist Jennifer James has had the “unique experience” of treating children in Bathurst, which has fluoride in its water, and 48 kilometres away in Oberon, which doesn’t. 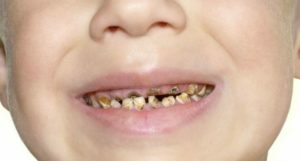 “The difference out here working is that you see twice as much tooth decay in children, twice as many fillings, twice as many extractions. That is a comparison we can make weekly in Bathurst and Oberon,” said Ms James, who works for NSW Health. “What people don’t see is parents crying because they don’t understand why their children need teeth taken out”. History of food preservation: There are many methods of preserving food, the earliest dating back thousands of years. Whether as canned food, dried or fermented, food preservation increases the safe window in which food can be consumed, as well as often altering flavour and chemical constituents.